Liu Xi, a great poet from Tang Dynasty, once said that "any mountain can be famous with the presence of an immortal, and any river can be holy with the presence of a dragon" 山不在高，有仙则名；水不在深，有龙则灵. 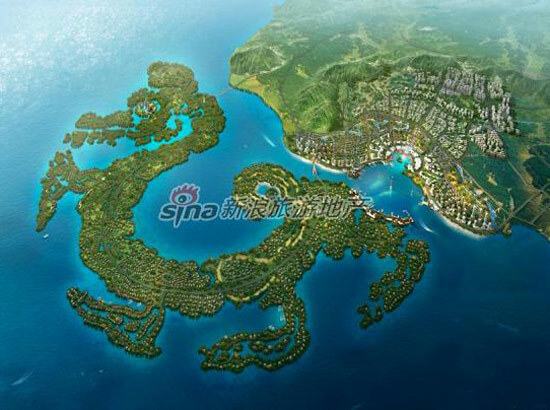 In order to promote its new construction project, a big real estate corporation from Liaoning province has changed this saying into: "any house can be famous with the presence of a dragon" 房不在名，有“龙”则灵.
. It somehow reminds me of the Palm island in Dubai..Shapes, shapes, shapes... The people like to go for shapes. 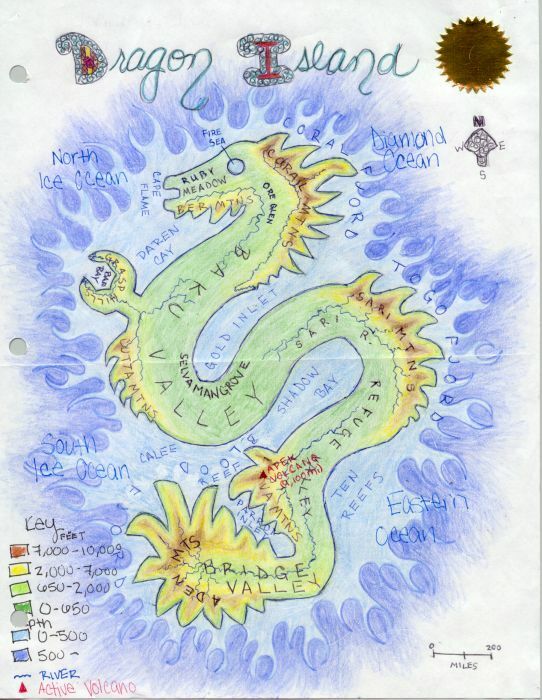 And, as a comparison, here is the "Dragon Island" - artwork by the 15-years old Irish-Canadian artist Lee Neyrinck.